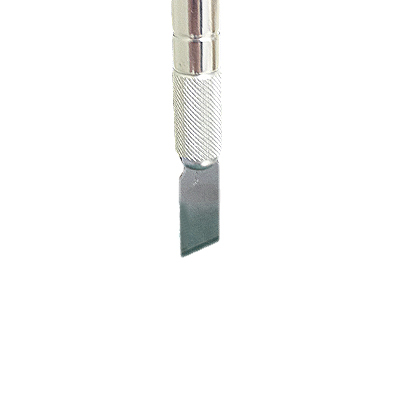 The TMS craft knife is ideally suited to shearing applications of smaller sized samples. The TMS large craft knife is suitable for complete shear, or harder products. Rigid support frame holding sharpened steel craft blade. 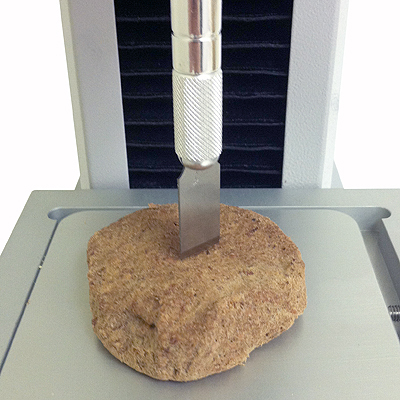 Designed to pass completely through sample and measure entire cross-section. This fixture is only recommended for texture measurement applications below 100 N.